Our comprehensive suite of software solutions is modular, flexible and can be implemented rapidly. 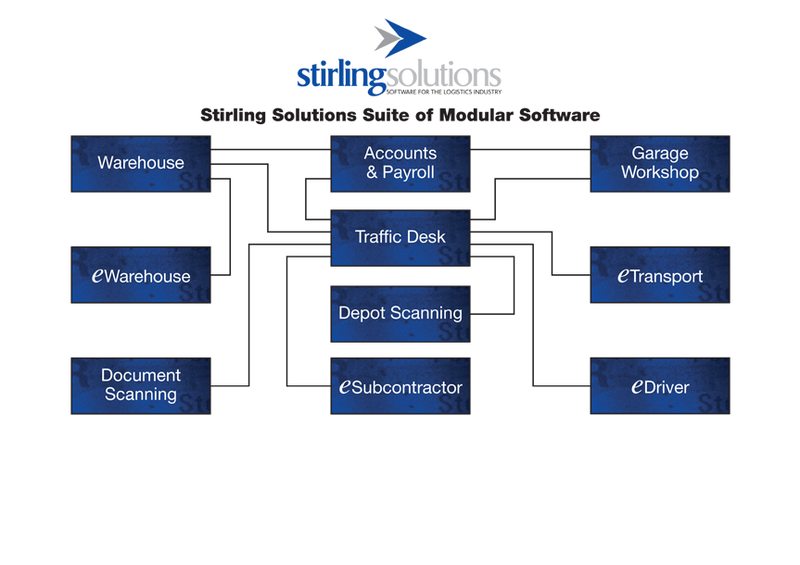 Please click on any of the below mentioned software modules for further information. We offer a variety of stand alone modules which when integrated, form the basis of our comprehensive integrated transport solution, which can be installed in either single user, multi-user or networked formats with the facility to link remote sites. Our 700+ existing customers can implement whichever of the Stirling Solutions modules that meet their requirements, safe in the knowledge that should their needs and expectations change, their system can be adapted to meet their new circumstances by adding additional modules. Furthermore, Stirling Solutions in a high percentage of instances not only look after our clients software systems but also support and maintain their hardware infrastructure, effectively offering a one-stop shop. Provision and installation of fileservers, terminals, printers, scanners and network cabling enable us to be our customers' total supplier.